Also, thank you to all of you who played along with our August challenges! 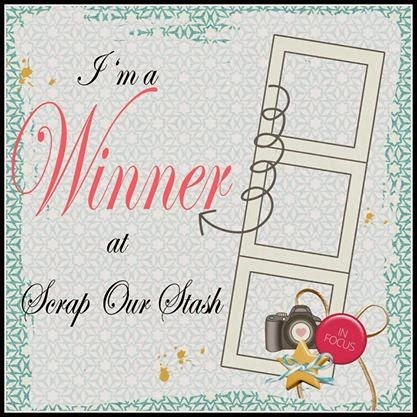 Leave a comment below AND email us at scrapourstash@gmail.com with August winner in the subject line and we will forward your information to our sponsor so that they can get your prize to you! 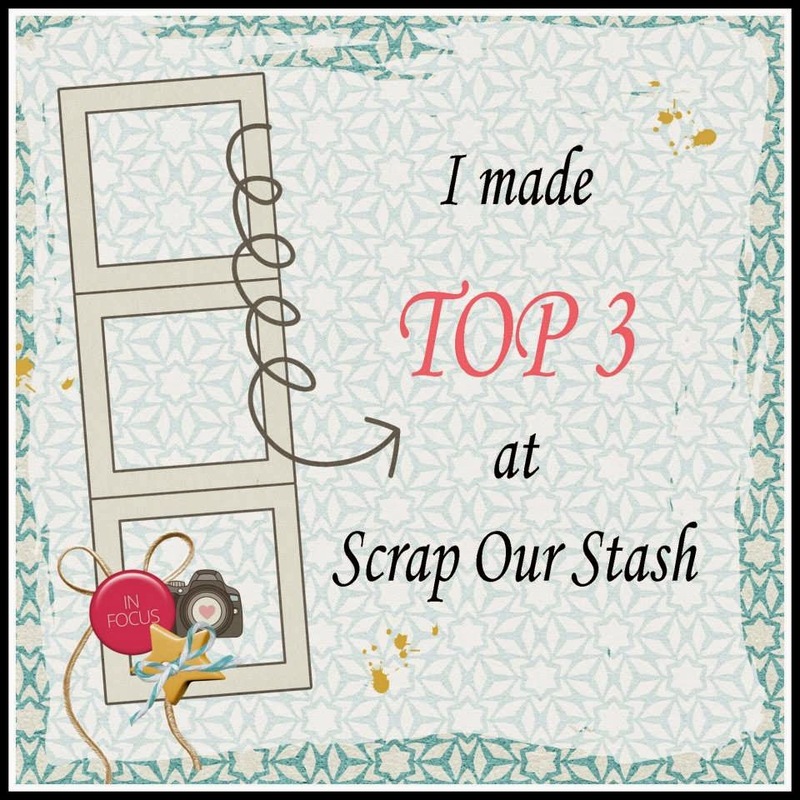 September Stash Challenge and to meet our September Guest Designer!!! As of the first of August, Rochelle and I are challenging ourselves to use up as much of our old stash as possible, so this month's Sketch with Stash challenge was perfect to help me reach my goal. 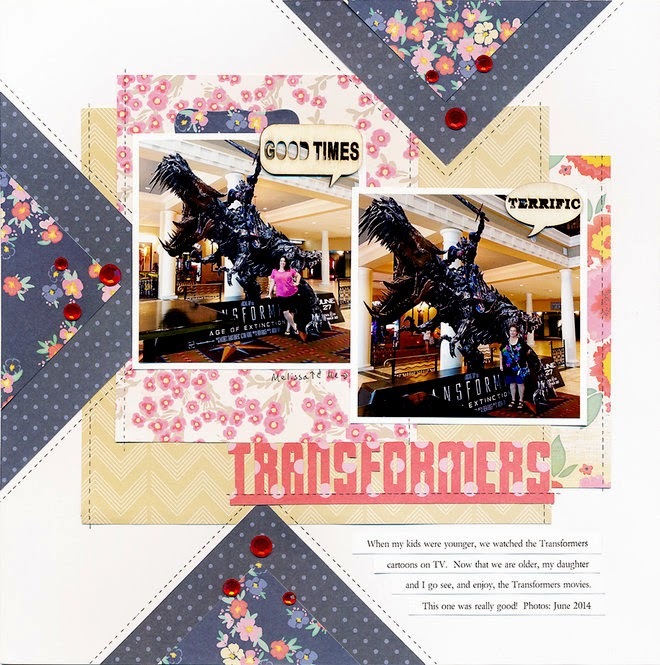 I created my page using Echo Park's "Brothers" mini themed collection kit. My background patterned paper is from My Mind's Eye's "On the Bright Side" collection. 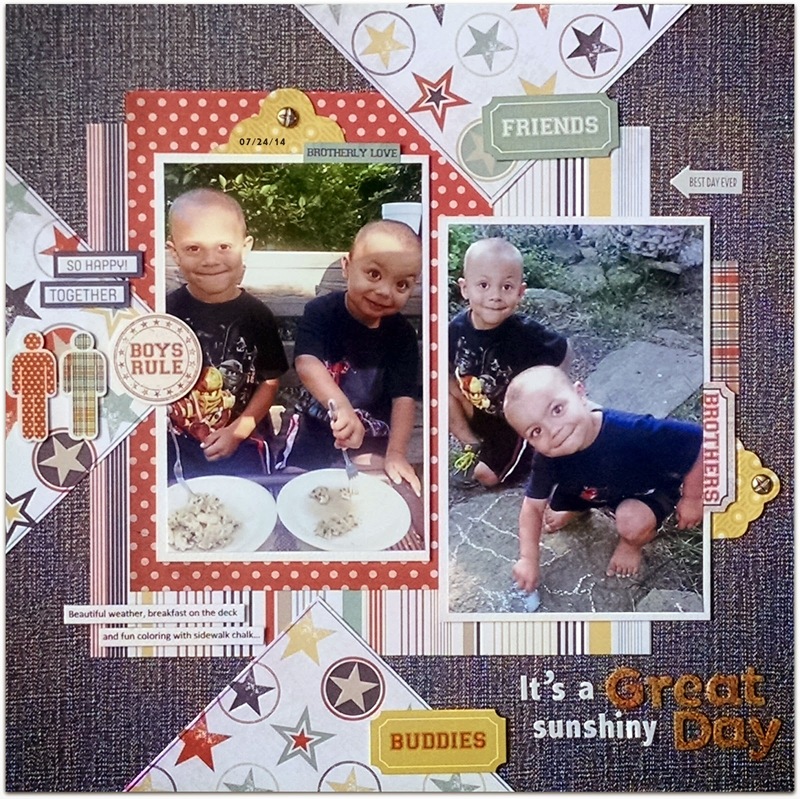 I have to admit I have plenty of stash that is much older, but I could not resist scrapping these cute photos of my great-nephews and the Echo Park collection complimented the photos and worked well with the sketch. Make sure you visit us tomorrow to find out who are Design Team Top 3 Picks are for August as well as who is our lucky randomly drawn winner for August! Just a reminder that you have until 11:59 PM (PST) tonight to link up your entries for both of our August challenges!!! 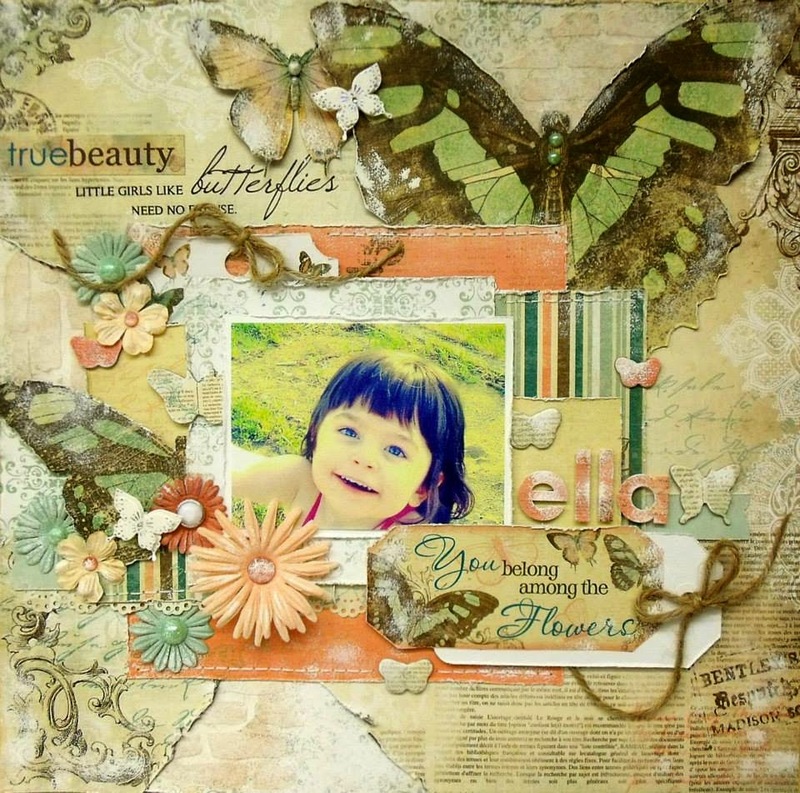 "I used some old Prima paper and flowers from back in 2011. The bling is from Zva and about 1-2 years old." Our inspiration today was created by DT Kate! "I love old stash so much! So, it was easy for me to dig into some oldies! I had the Pink Paislee Prairie Hill Collection from 2012 in my stash so that was my starting point! The ribbon piece and the chipboard were hanging around from maybe 2009??!! 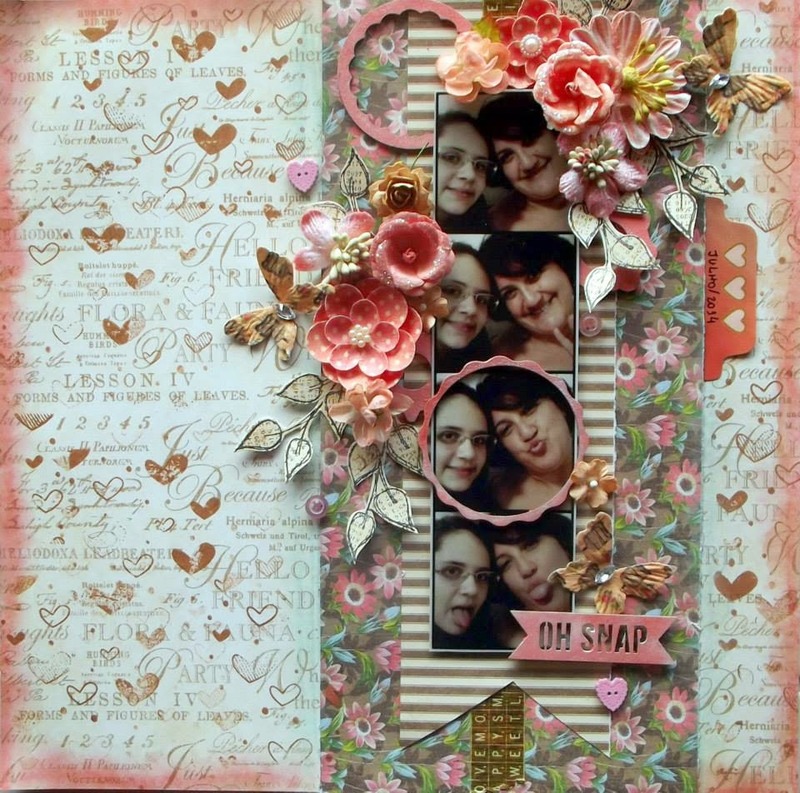 Added in my usual addition of various wood veneers to layer the triangles and an embellishment cluster finished the layout"
Thank you for stopping today and I hope you are inspired to create a layout inspired by our August Sketch using some of your "OLDEST" stash. You have until 11:59 PM (PST) tomorrow night to link up your entry to be entered into our monthly prize drawing! DT Megan, inspired by our August Sketch Challenge! 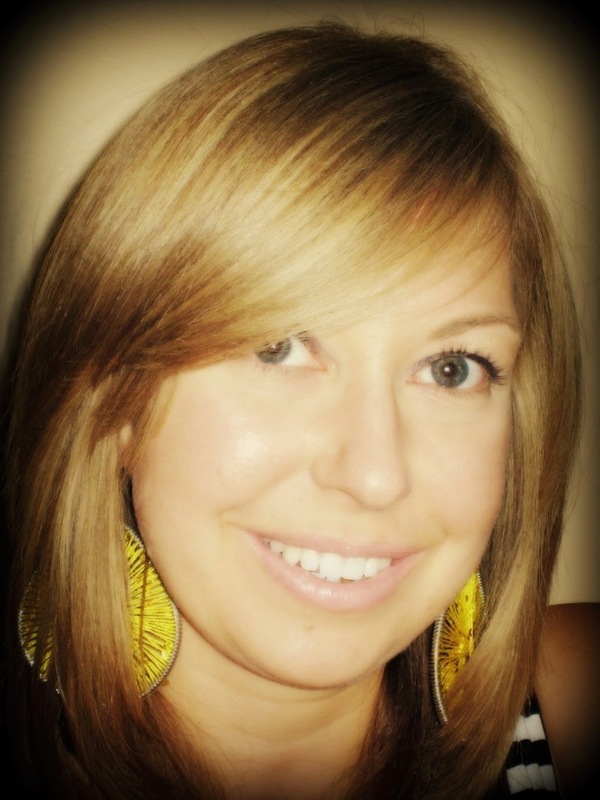 "I have de-stashed a lot of my older stash of products, so it took me a little bit to figure out my oldest products. I went through some of my paper and found some American Crafts "Play" paper, and this has to be some of my oldest. I also added in some felt flowers and letters stickers from American Crafts. There are a few "newer" embellishments added in, but most of this is definitely old!" 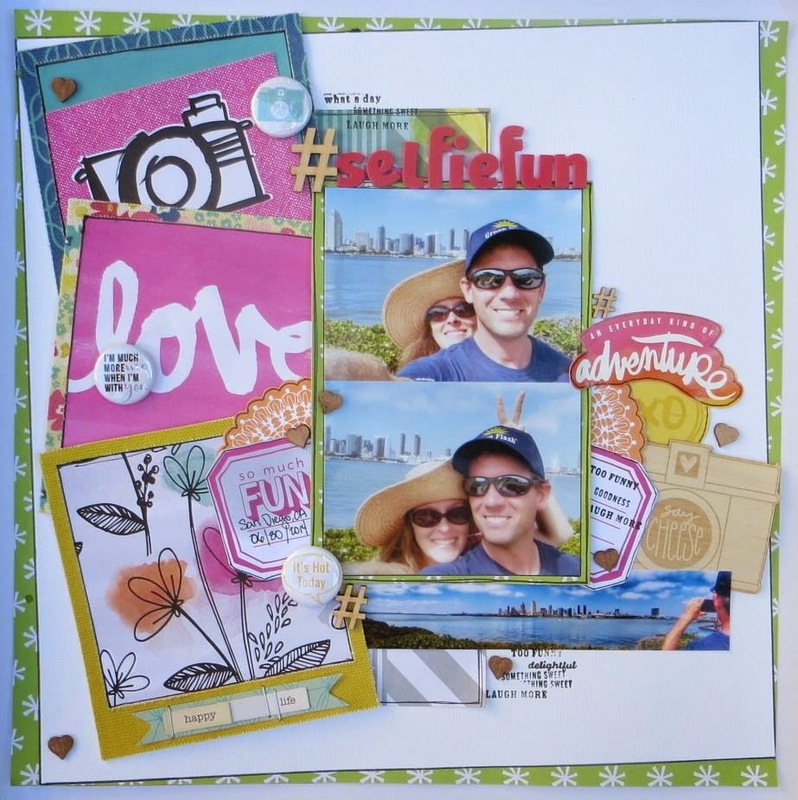 If you have not had a chance to play along with us, you still have until a couple of days to get your layout created and linked up for one or both of our August Challenges! "Another fun challenge for me. Look what I found deep in my stash! The old paper collection from Crate Paper. YAY!! I forgot that I've bought this long time ago. So glad to found it. It fits perfect to my photos and the fabulous sketch. I turned the sketch one time to the left. I cut the embellishments out of old scraps using my old cutting dies. So, I think there are more than 75 % old supplies on my layout." 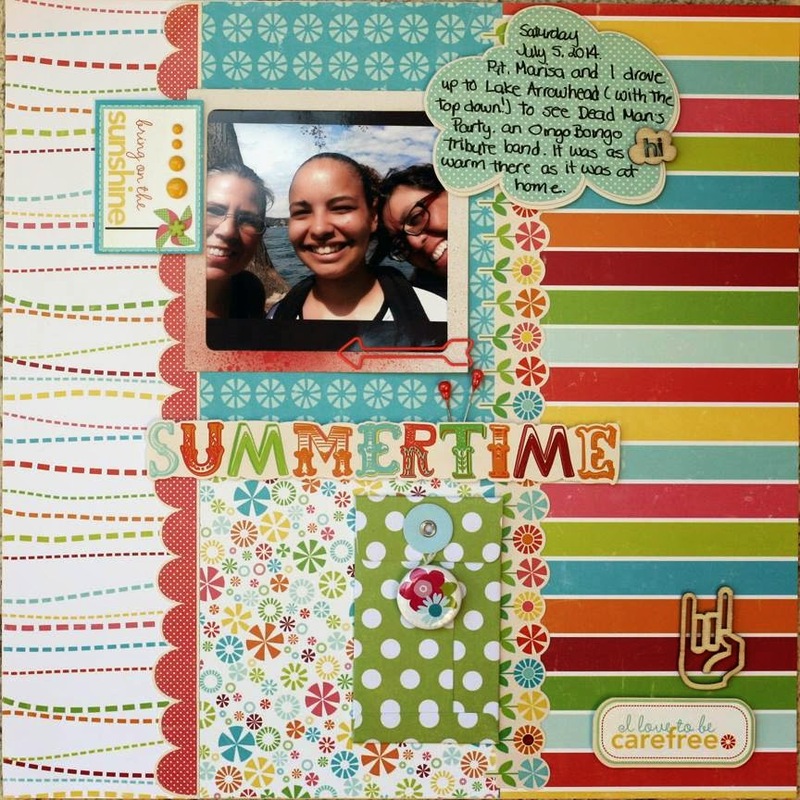 Sketch with Stash "Oldie But Goodie" Challenge! "This OLD stash from October Afternoon worked perfectly for my page and the sketch really highlighted my photos!!!" Just a few more days to complete our August challenges. For each challenge you complete and link up with us, you will receive an entry into our August sponsored prize drawing. You have until August 29th, 11:59 (PM) PST to link up your entries. Click HERE for details on both challenges. Have a great day and remember to return tomorrow for more Design Team inspiration! 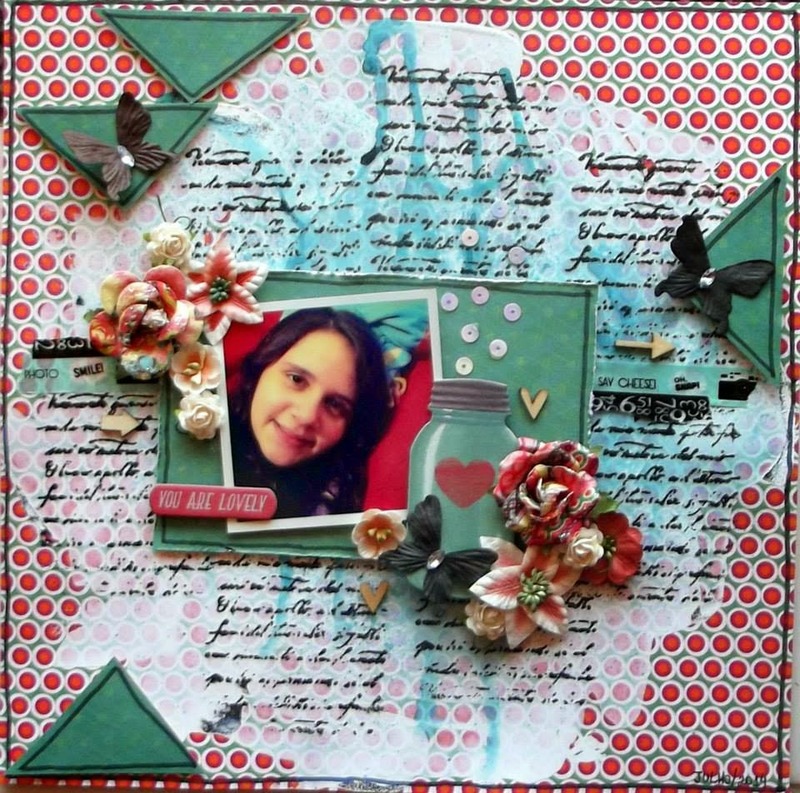 "This layout was created using some very old stash. I dug deep in my crafting closet to find my first paper pad (bought sometime in 2011). It was the 180 sheet Recollection All Seasons paper pad. I also used my first Thicker set I bought for the title. The only new stash on my layout are the gold sequins. 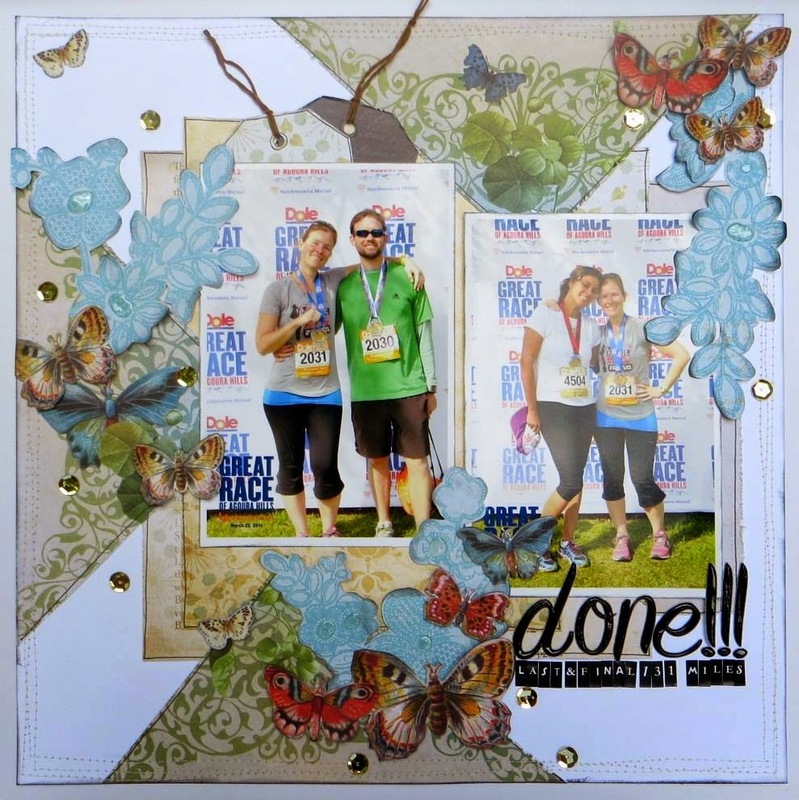 I did a lot of fussy cutting, the butterflies and the blue flowers, to embellish this layout. This challenge was definitely FUN! The layout documents my last and final half marathon I will ever run. This layout is part of a series of layouts and pocket pages documenting my fourth one I did in a year. I ran the trail version of the half with the hubz and my BFF ran the road version of the half. So it was a nice end to my half marathon runs. I am looking forward to seeing your old stash layouts." Your turn to dig deep into your stash for some of the wonderful product that you purchased some time ago and still have in your stash! 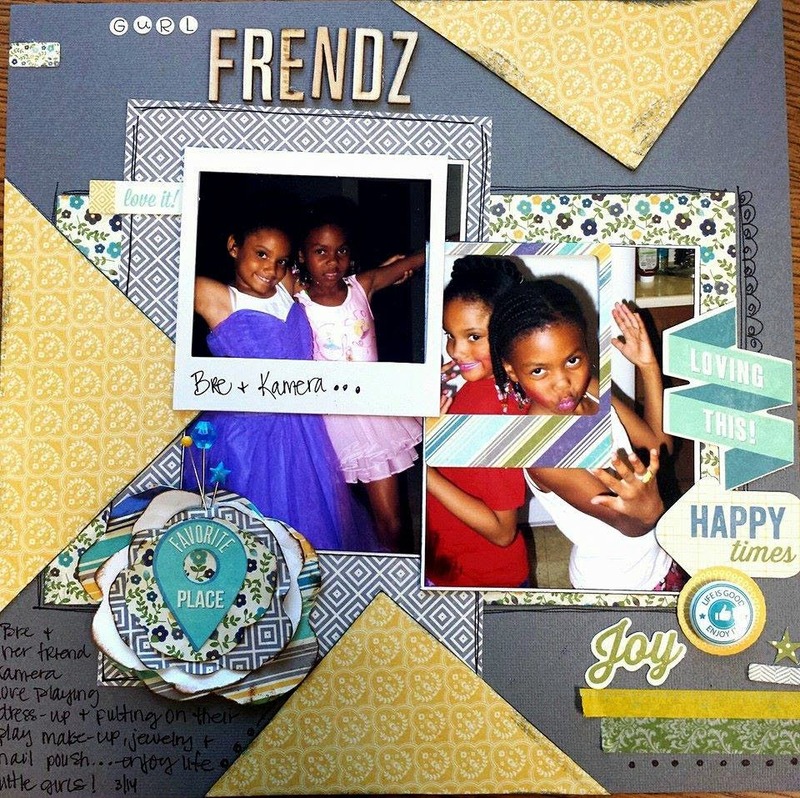 Time to cut it up and create a layout to share with us inspired by our August Sketch! Click HERE for complete details and rules for the challenge! These papers are American Crafts. Even though they are very old, I still love them…so pretty and bright. The embellishments are Teresa Collins and Recollections. 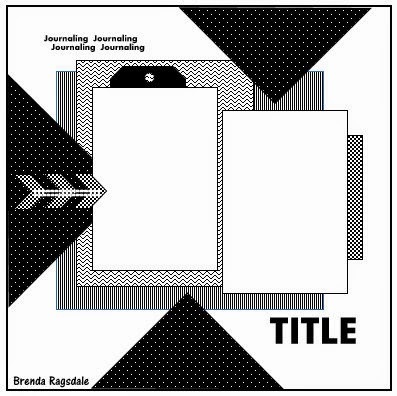 The letters for the title are Heidi Swapp. You still have tine to play along with either or both of our August Challenges. you will earn an entry into our monthly sponsored prize drawing! What a fantastic way to end the week! "What a fun sketch this is! I decided to rip my paper in the shapes of the 3 triangles and add on a bit of stenciling on the background paper. And I replaced one picture by a tag. While picking the products I was going to use, I looked through some of my older paper collections and found this one from BoBunny called 'Gabrielle'. It's 3 years old, so I will admit, not that old, but considering the amount of it I still own after 3 years, I figured that it would be a great choice for this challenge. I loved it so much when it came out that I think I bought 5-6 of each paper. For the embellishments, instead of opting for more modern flower packs, I picked all the flowers from my older paper flower bin and added a few butterflies that I had bought at my local Dollarstore ages ago." 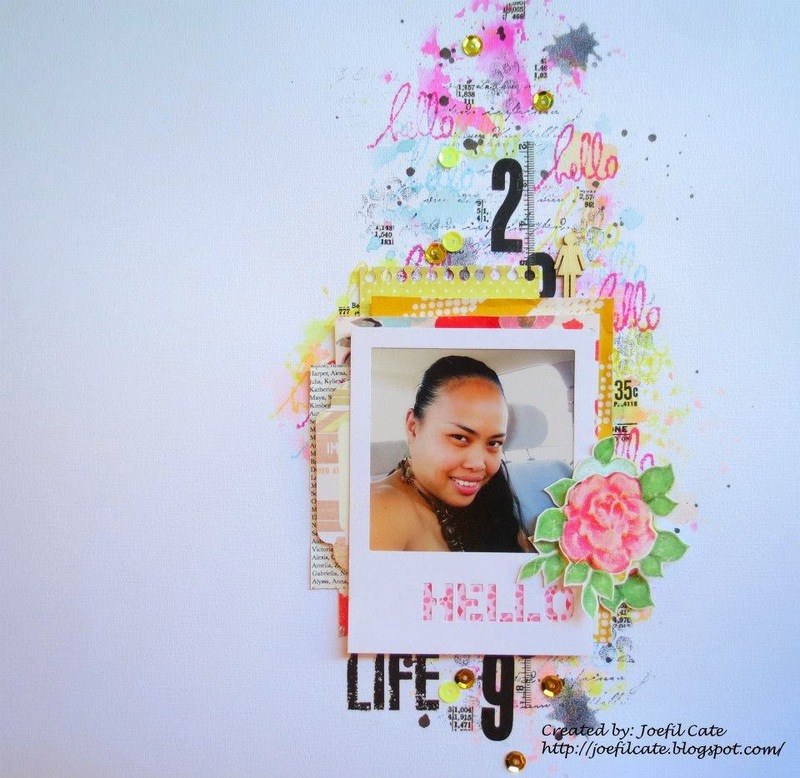 Such a beautiful take on our August Sketch Challenge and I hope it inspires you to dig deep into your stash for some of those "Oldie but Goodies" you have buried, and create a layout inspired by the sketch. Click HERE to check out all of the wonderful scrap items in their online store! Enjoy your weekend and stop back by tomorrow for more Design Team inspiration! In this page I used old papers by Webster's Pages. I hope you like it and play along with us!" What's in your older stash of scrap goodies? using some of your oldest stash, the older the better, and share it with us! Have a great day and stop back by tomorrow for more Design Team inspiration! August Sketch with Stash Challenge. "I created this page using photos of my daughter and my bff's boy, taken last year. I found this old patterned paper from 2010 by Me and My Big Ideas, very old chipboard in my stash and also some very old sequins. The title work is KI Memories epoxy stickers, also from 2010. Now its your turn to dig into your old stash!" Another day of August Sketch with Stash inspiration to share with you! 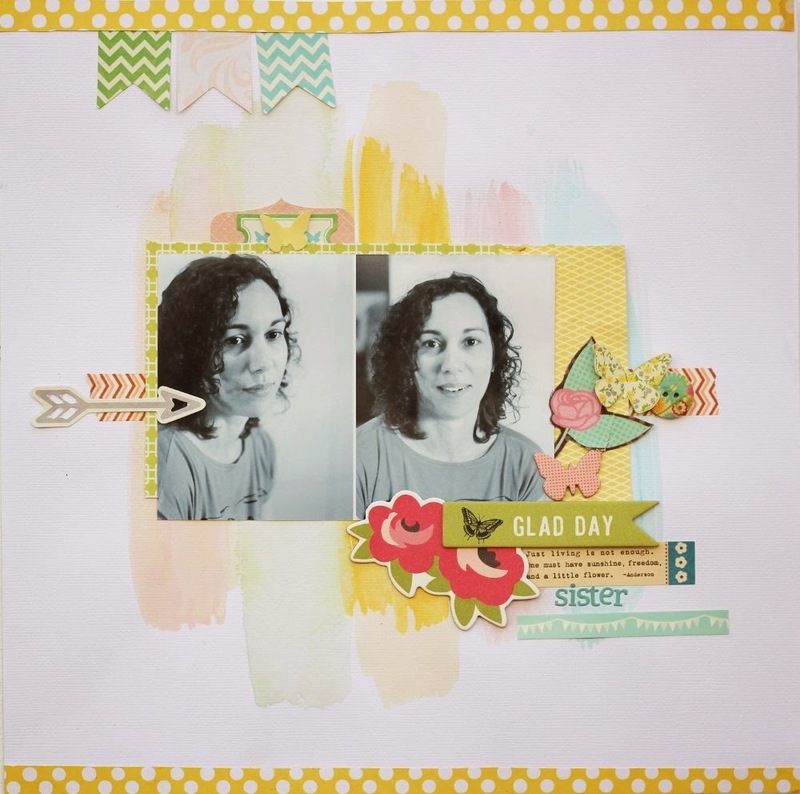 "The challenge was to use something deep deep in my stash, and I chose a paper collection that I received from one of my monthly kit clubs. I guess the skipping over this particular collection from Jillibean Soup Avocado Soup Collection (November 2013), finally caught up to me! 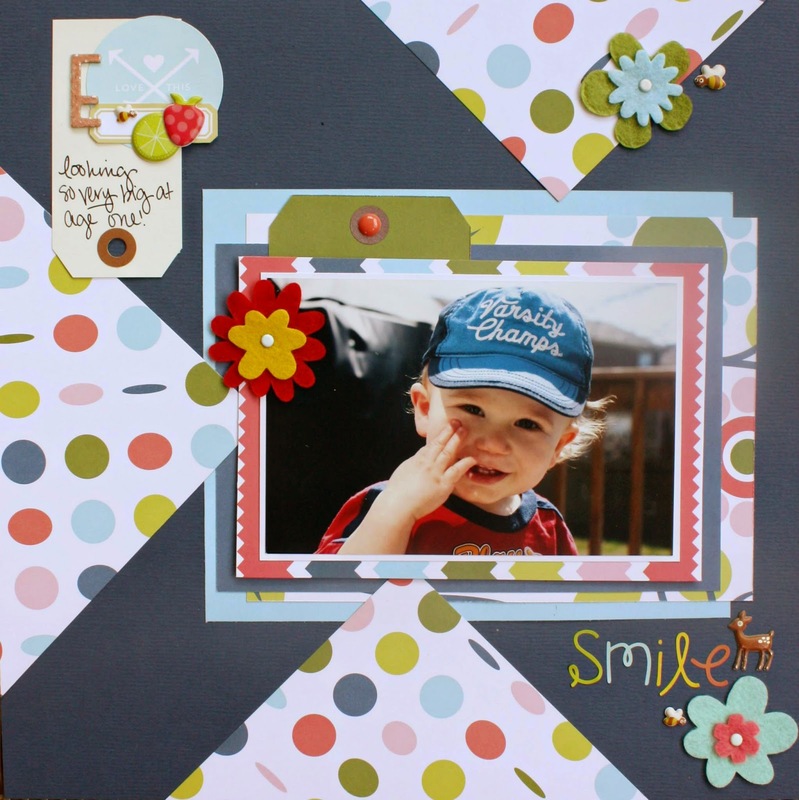 With this collection I also used some of the cardstock embellies that were included. This is a layout of my daughter and one of her girlfriends goofing around...and enjoying their girlfriend time! Hope you enjoy the sketch and find something deep down in your stash!" Got OLD stash that you love and need to use??? 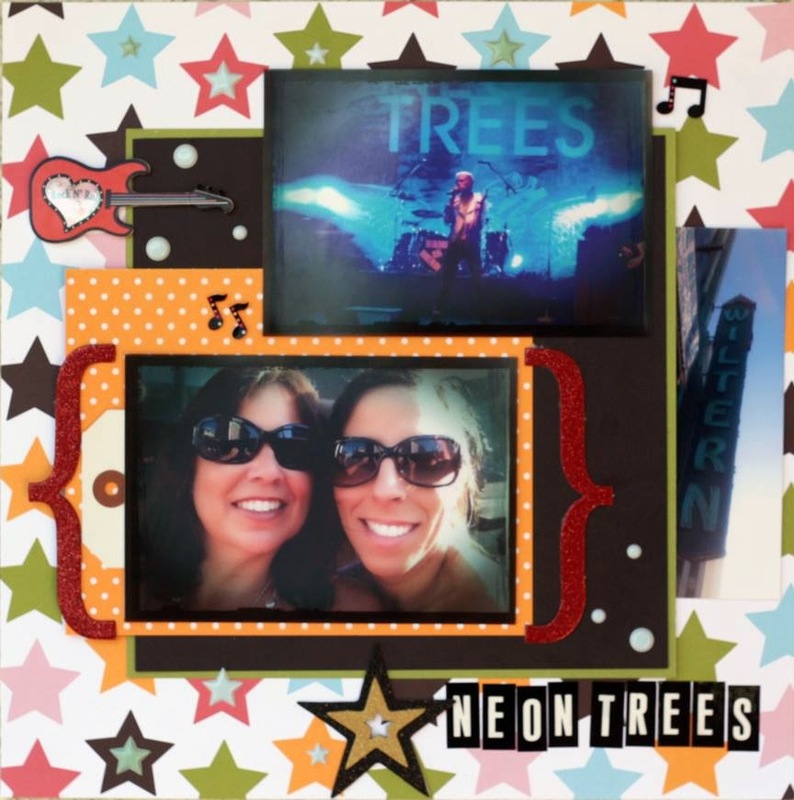 Create a layout inspired by the sketch below using some of your oldest stash, we would love to see what you come up with! Please check out the complete rules and details HERE! August Stash Challenge to be entered into our monthly prize drawing. Each challenge you complete earns you an entry into the drawing. Have a Scrap Happy Day!!! We are back with more Design Team inspiration! "This challenge was challenging! I often find myself fascinated with sketches that are really out of my box. I think there is no way I can create a layout following that, but then I start to play and I always create something! I love this layout. I went a different way with it, but I love how it turned out. Adding the older stash was just as challenging! Most of my stuff is only 5 years old as I don't keep much stuff laying around from years ago, but I used what I had and found the oldie stuff that I did have! I really liked being challenged on both fronts this time around, it was super fun!!!" Get creative and play along with us. We would love for you to share with us how our current sketch challenge inspires you! Click HERE for a look at the sketch and the rules! 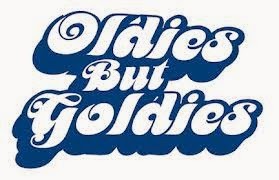 "Time for some old goldies. I chose product from old collections from Jillibean Soup, October Afternoon, Studio Calico and American Crafts and a cardstock already painted – sometimes I may experiment and I don’t want to use them on the layout I’m working on, so I keep for another time. This sketch is so great and easy to work with for anyone, and voilá, here is my layout about my sister using 100% old material." Click HERE for details and rules on the challenge! "This challenge was a so much fun. It forced me to look at some of my oldest papers. These are from a Colorbok page kit. Had I not had this challenge, I might not have found this collection which was PERFECT (in my opinion) for these photos! The sketch was fun to use also. Although, I'm not particularly good with triangles...but I managed to use one and changed the others to horizontal trim pieces. We are looking forward to seeing how you interpret this month's sketch using some of the buried scrap treasures found in your stash! 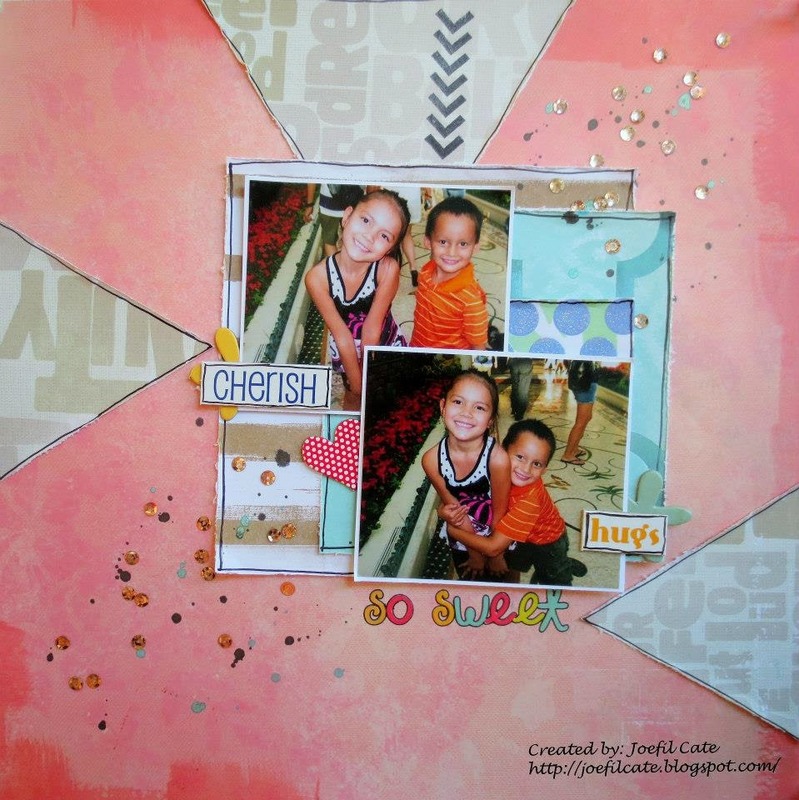 We have a new challenge and some fabulous inspiration from our August Guest Designer to jumpstart your weekend!!! AND...75% of the product used to create your page must be from some of your OLDEST stash of paper and embellishments..the older the better. You must note in your write up, what products you used from your older stash! 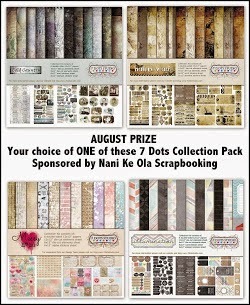 Nani ke Ola is a new online scrapbook store. Searching to bring the smaller designers to your doorstop. At Nani ke Ola we would only sell what we would use ourselves in our projects. Please feel free to check out our store, join us on Facebook and Pinterest and see what inspiration value can find for your next project. to our randomly drawn August winner! For a closer look at the 4 collections to choose from, chick HERE. "Hi! My name is Jenessa, and I live in Dallas, Texas with my husband Noé, our son Santiago and our daughter Paolina. 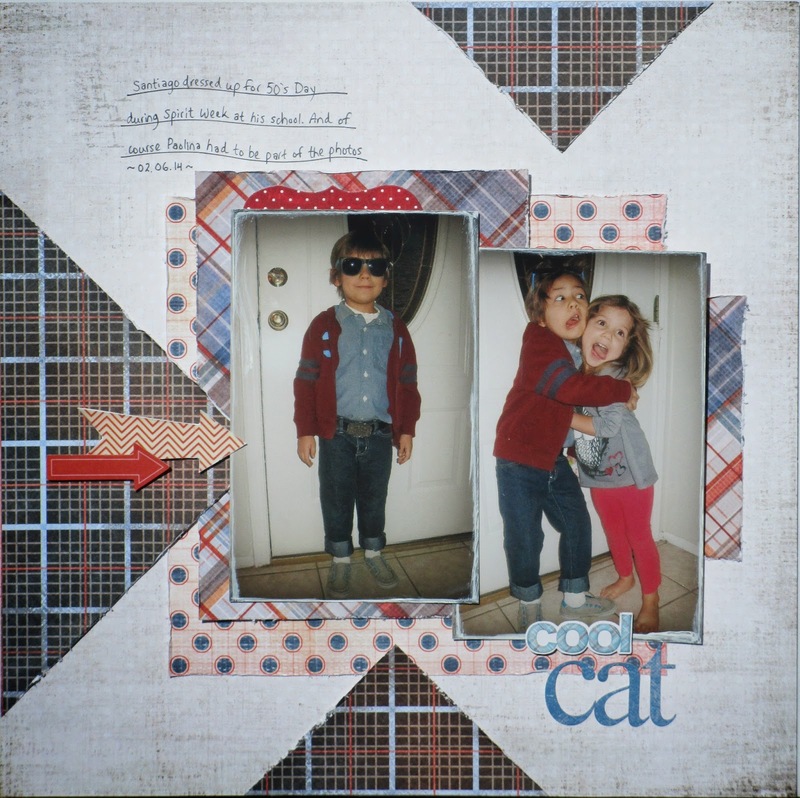 I first discovered scrapbooking in 1995, and I made my first album using construction paper and rubber cement...an absolute archival disaster! Fast forward to the present, and I've become quite passionate about this constantly evolving art form.Having always endeavored in arts & crafts such as drawing, painting and cross-stitching, scrapbooking has been such a natural progression for me. 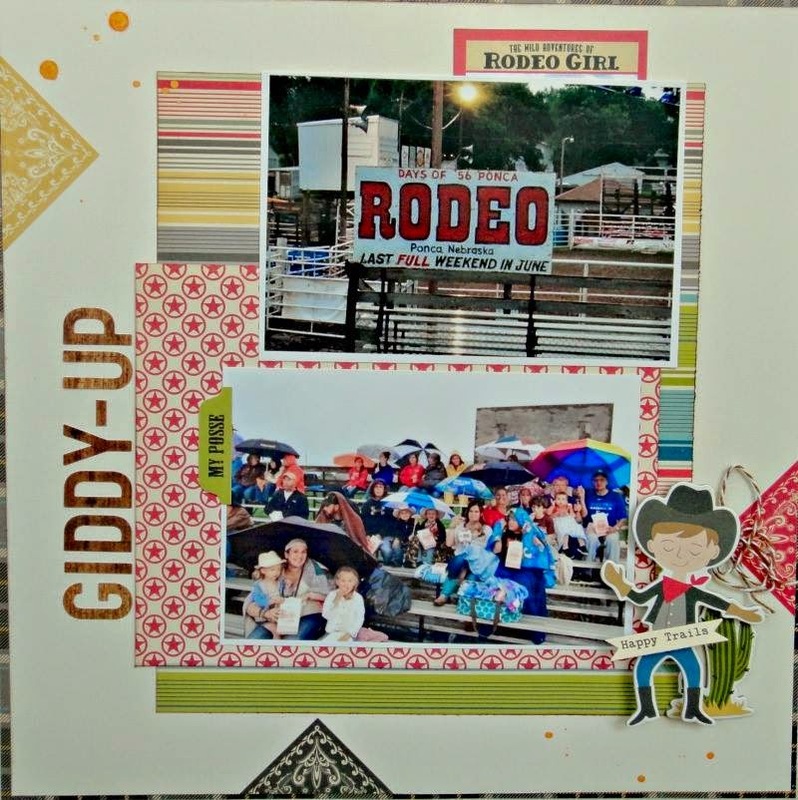 My husband has been incredibly supportive of my obsession hobby by allowing me to utilize half of our family room as my own personal crafting area as well as hanging out with our kids when I need some creative therapy." "I loved this sketch! It is so different from anything I usually do, but I really enjoy stretching my creativity in order to grow my style. I also love using up older product. I find that it's easy to get caught up in purchasing the latest & greatest before I've even gone through what I already have. The papers are from the Sassafras Lass "Whale of a Tale" line, which I think is about 5 years old. I also used some blue alpha stickers from Bo Bunny that must be over 6 years old because I remember buying them before my son was born. This sketch and challenge were the perfect way to make my older product look totally current!" 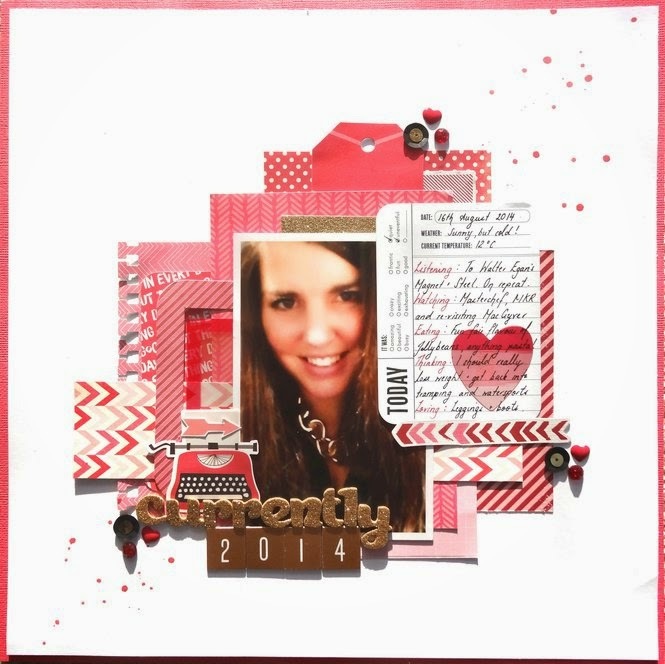 Jenessa thank you so much for being our Guest Designer this month and sharing your wonderful work with us. We would love to see what you find buried in your stash and how you use your buried treasures to create a page inspired by our August Sketch! "For this challenge, I actually scrapped a Selfie of a PhotoBomb! Most of my friends and family know that I am the "Queen" of Selfies and my daughter was taking a selfie of herself without knowing that I took a selfie of myself photobombing her LOL! 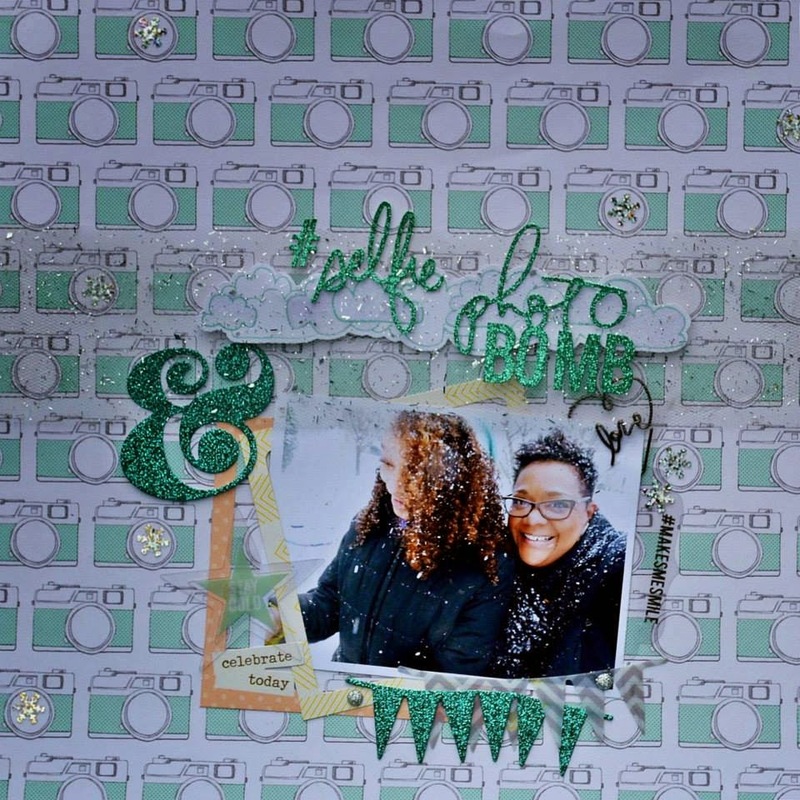 Loved that the Heidi Swapp collection had all those cute glitter sayings that were perfect for the layout and the camera paper is old stash...A/C mini frames & added some mini snowflakes and glitter tulle for a wintery feel." "For this challenge, I used a selfie I took of me and my son, Max. Instead of using the frame to go around the picture, I used it to frame the title. The supplies are mainly from Crate Paper by Maggie Holmes and an older Studio Calico kit - Valley High." 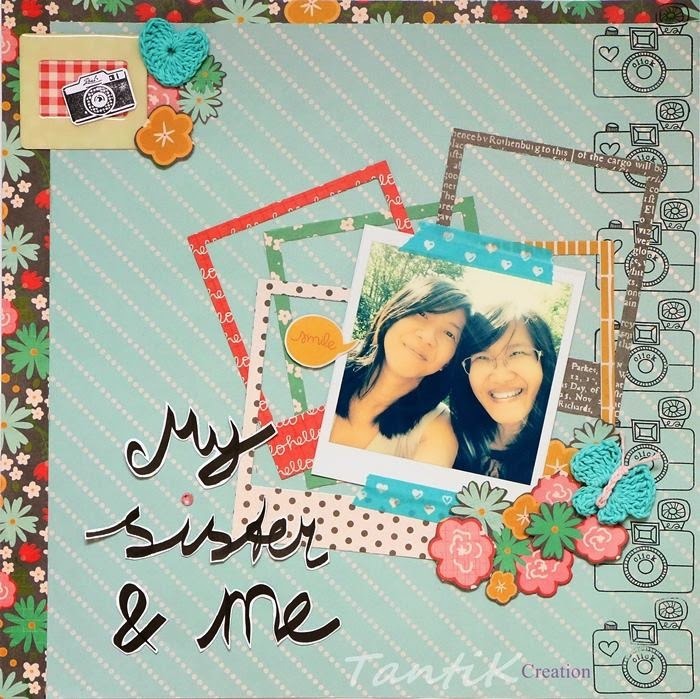 "My Sister and Me" LO by DT Tanti K.
"This challenge is so perfect to scrap this selfie picture of my sister and I. It has been taken during her visit in Germany two months ago. I was so happy to have her here in our house. Since we couldn't see each other very often. I used "From Me To You" paper collection by Pebbles. The Frame I used is a sticker from EK Success." "I knew that I had to scrap this photo of my son, taken shortly after he got his new glasses! 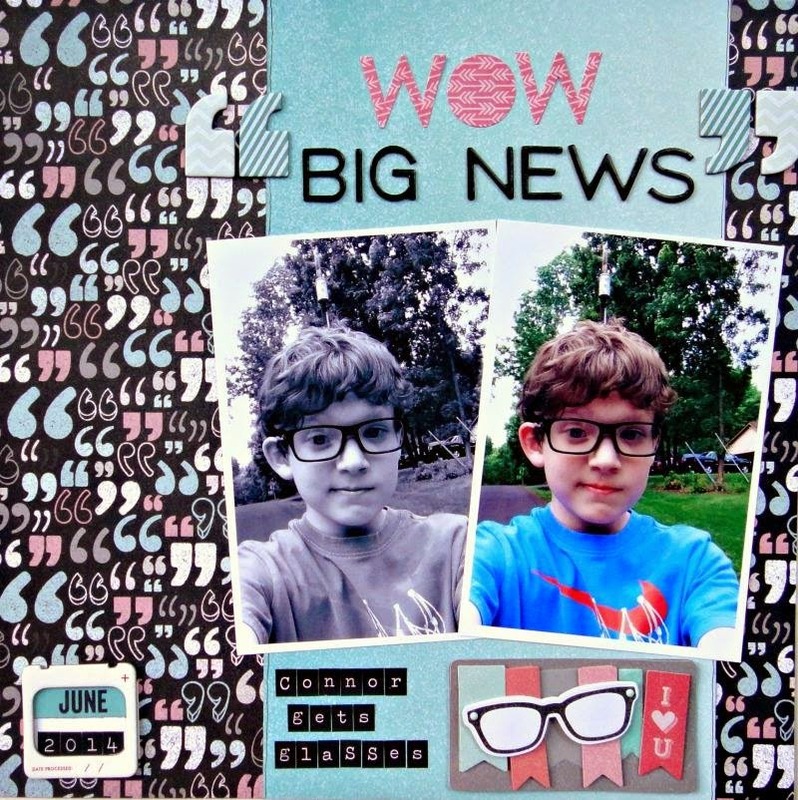 This Cut & Paste line from MME worked perfectly to record this moment in his life! 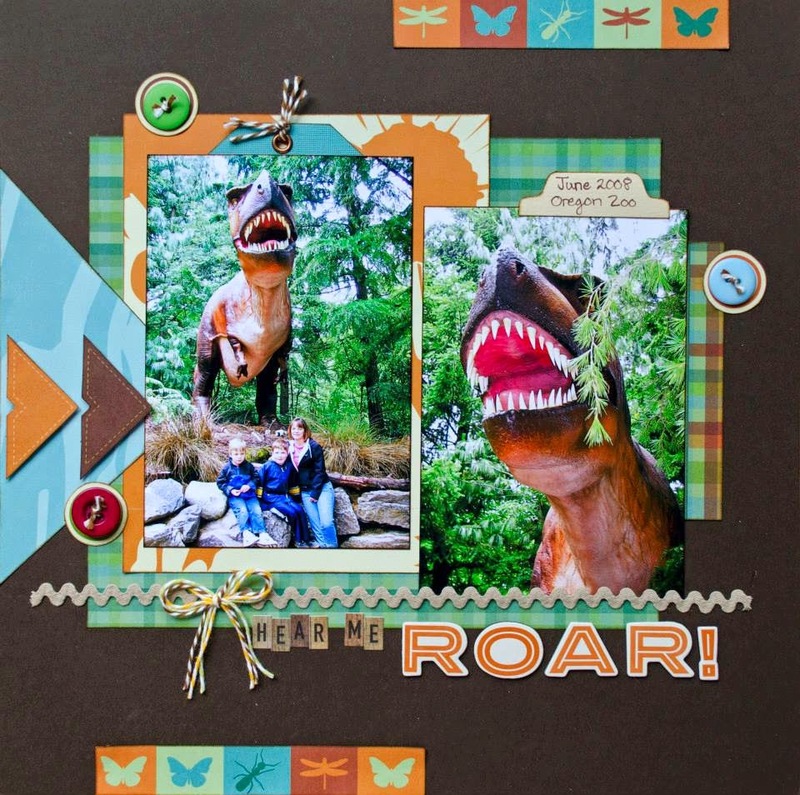 supplies: MME Cut & Paste papers,stickers,chipboard,Fancy Pants Designs frame, Simple Stories DIY mini alphas, American Craft Thickers"
"I created this layout using Amy Tangerine Plus 1 pattern papers, die cuts, stamps, and stickers. My stash items are Maggie Holmes Crate Paper fabric frames. 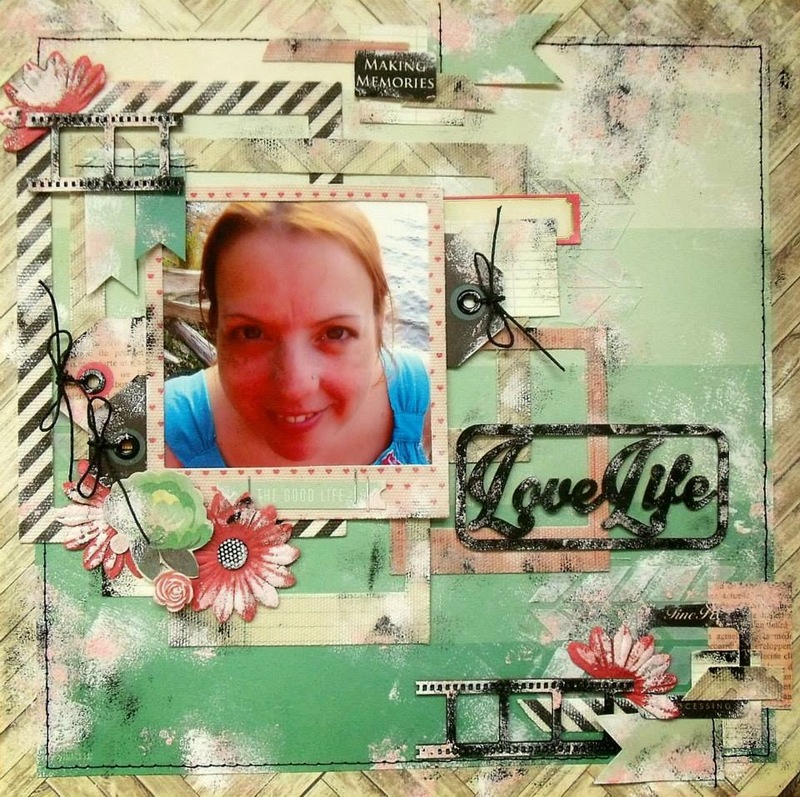 I embellished with a 2Peas wood veneer die cut and a couple of flairs along with Studio Calico hearts, Creative Embellishment hashtag wood veneers, a flair from Pretty Little Studio and Thickers foam alphas. My husband and I always take selfies since it is usually just the two of us. He is very proficient at taking them, while I still can't focus and center mine. These photos are from our trip to San Deigo, CA and we were attempting to get the skyline in the background. After many attempts, I finally took a panoramic photo of my husband taking a panoramic." "This, for me, was more about WHICH selfie I should use! Lol This one, with my cousins, is the most current. I have many premade, packaged frames, but I rarely use them because my pictures are too big for them. For this layout, I printed it to the size of the frame. I’ll need to remember this because I have a lot of cute frames to use up. 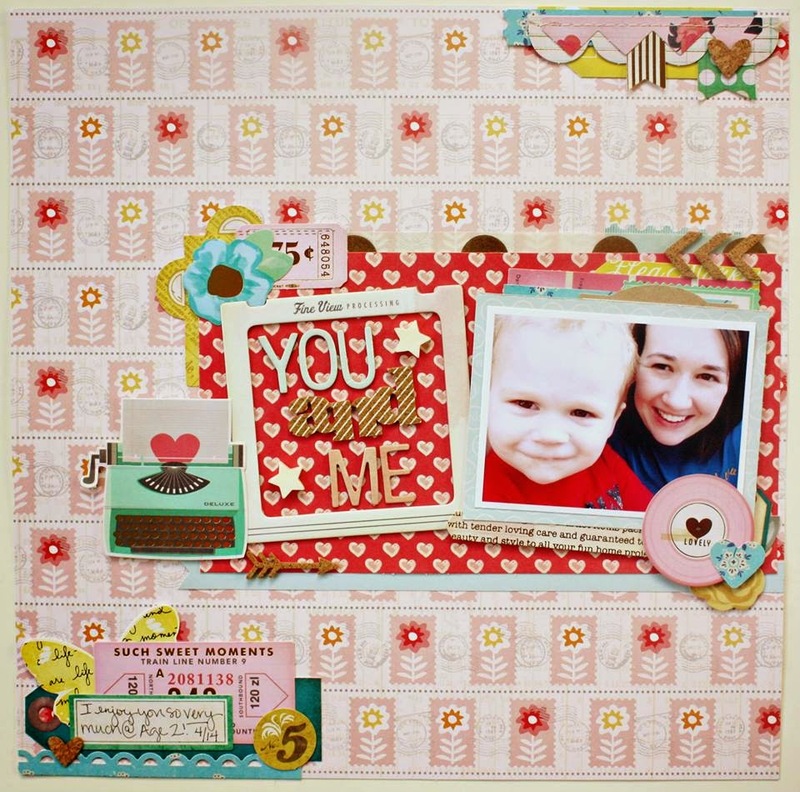 "Call me vain, but unlike a lot of scrappers I know, I don't mind creating layouts about me! The reason being that I feel that it is as important to celebrate your life on paper as much as the lives of the people you love. I think when I'm older I will enjoy reminiscing about 'my' good ol' days. So, I was very happy with this challenge and used a selfie that I took at the beach. The collection I used is Crate Paper's Flea Market which comes with various premade canvas frames and I decided to use not just one, but 5!" Leila said, " My daughter and I in selfie's photos. We have a little fun doing this. LOL Have fun you too and play with us!" For more information on this Selfie Stash Challenge, click HERE! "This is a fun challenge once again! I don't have a lot of selfie photos and this is my first time that I print a selfie photo for this challenge only. I took this selfie while I was waiting for my hubby in the car, you know while your bored and nothing to do, lol because his taking forever inside the store. Anyway, to complete this challenge I used white frame from jillibean soup. Visit my blog for more details: http://joefilcate.blogspot.com/"
Now its your turn, can't wait to see your selfie! "I thought this challenge was super cool as usual, more fun for me because I have TONS of "selfie" pics that I could choose from! Most of us have them, maybe a few of us have too many! Well is there such thing? The selfie is of me and my co-worker, goofing around at work. 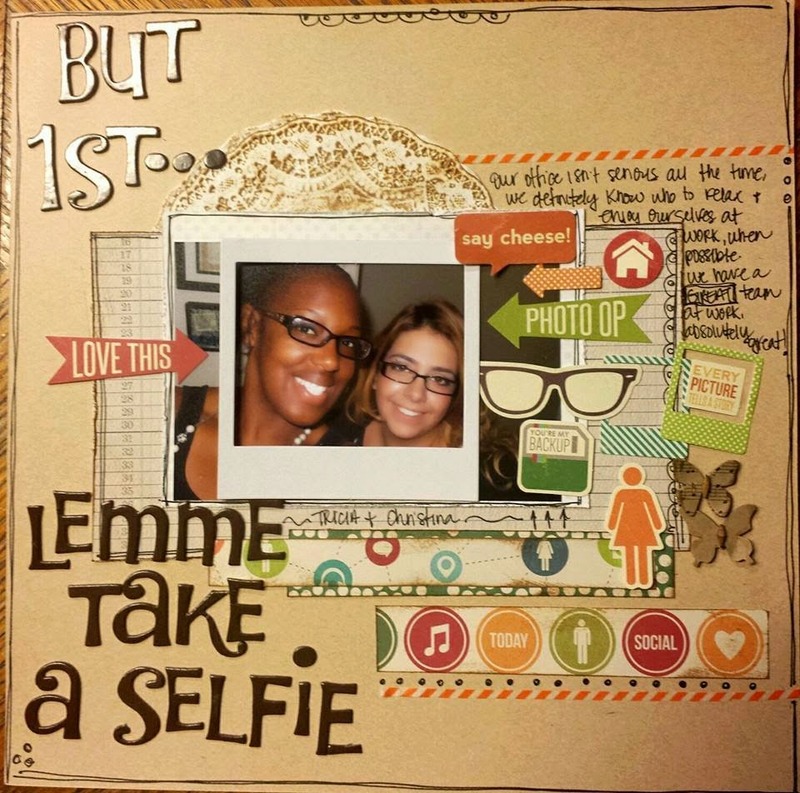 I got the title from the self titled song, "But 1st Let Me Take a Selfie" one of those really catchy songs you get tired of hearing, but still think its corny! Jilli Bean Soup Patterned Paper "Spicy Social Soup", with coordinating cardstock diecuts, including the frame. Thickers used "Jewelry Box"